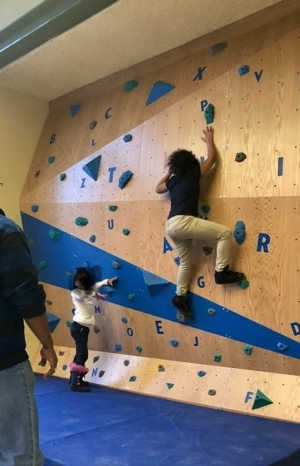 Wed, April 17, 2019 10:30 A.M.
Come take advantage of our new play space, featuring a climbing wall! Our redesign and educational toys encourage imaginative play that boosts children’s learning and development. This program is intended for families with children ages 3-5. Closed-toe shoes required. Use of wall subject to staff availability. Day care groups and preschools must call ahead to schedule an appointment. Lead support is provided by the William Penn Foundation, with additional support from The Knight Foundation Donor-Advised Fund of The Philadelphia Foundation.